Electric drums are where ddrum sets itself apart. For over three decades, we have been a pioneer in the electric drum world: designing, perfecting, manufacturing all placed into a exhaustive quality filter and the output has been a cornerstone of the digital drum scene since the beginning. 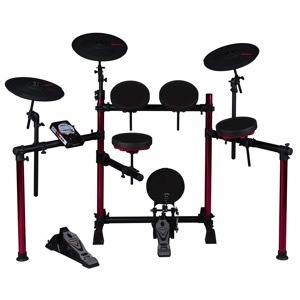 Versatile and durable, digital drum sets are excellent choices for beginners and pros alike, offering you the ability to play how you want, when you want, and where you want. It's the drum set of convenience, allowing the electric drummer to just put on some comfy headphones and start groovin' in that pocket. Want to play in a live setting? We also offer electronic drum amps as an accompaniment. 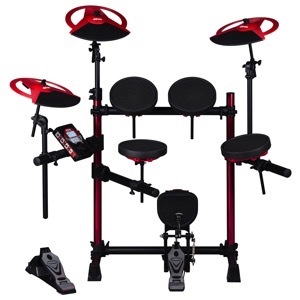 Regardless of style of play or skill level, there is an electric drum set here to suit your personal taste. ddrum - Everything for Today's Drummer.